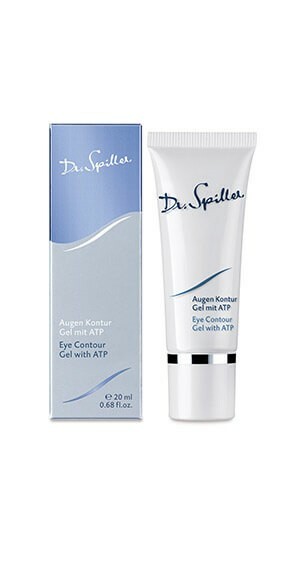 Eye Contour Gel with ATP cools and soothes dehydrated, fatigued eye areas. After stressful days or too little sleep, the gel reduces puffiness and is wonderfully invigorating. It reduces dark circles and decreases water retention by fortifying the blood vessels and enhancing lymphatic flow. This improves skin elasticity in the eye area and smoothes fine lines. The gel is also suitable for wearers of contact lenses.